Close to the ski runs, surrounded by nature and breathtaking views, this family home is exceptional in every respect. 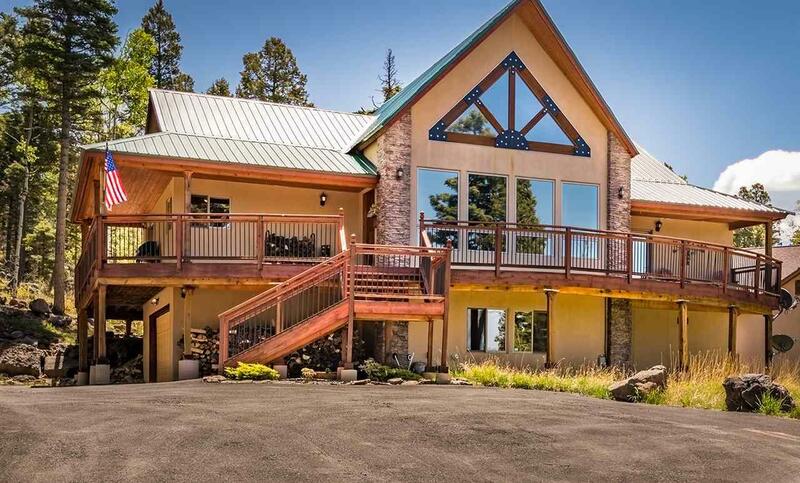 To begin with, the asphalt driveway winds through an oversized lot full of mountain wild flowers, native grasses, and aspen and fir trees. 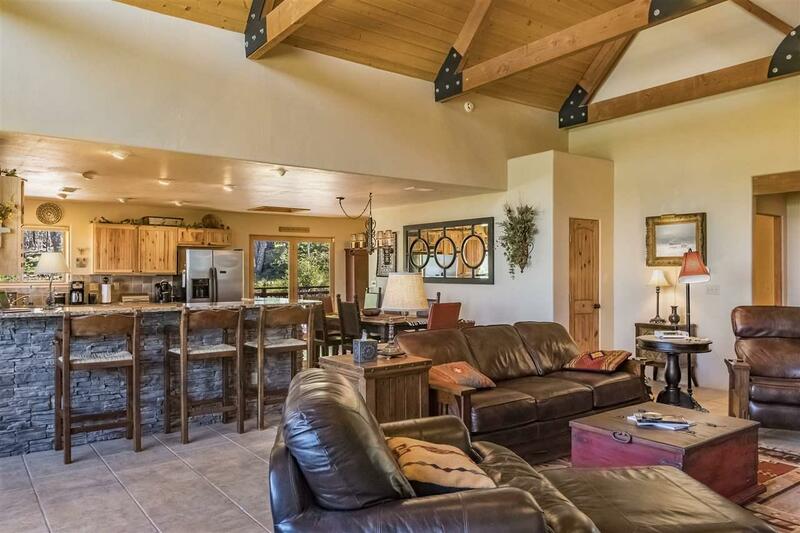 The home is tastefully decorated throughout, with many furnishings coming from Taos Mountain Home Design. 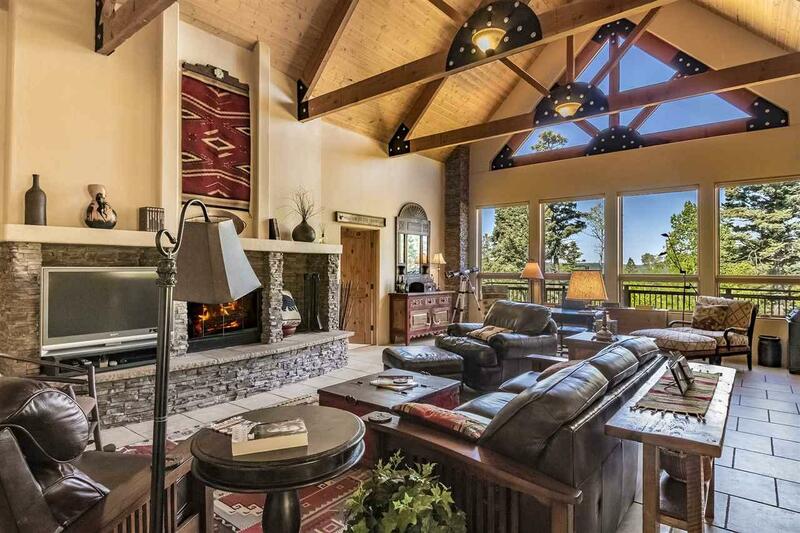 Expansive floor to ceiling windows showcase the mountain views and sunsets that have made Angel Fire famous. 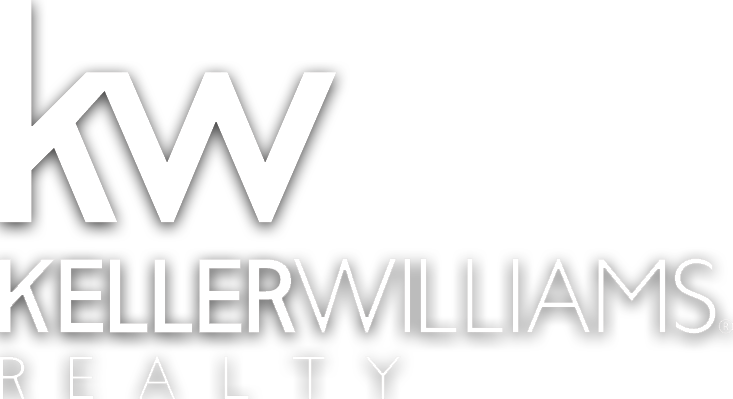 The open kitchen features stainless steel appliances, hickory cabinets and custom granite counter tops. 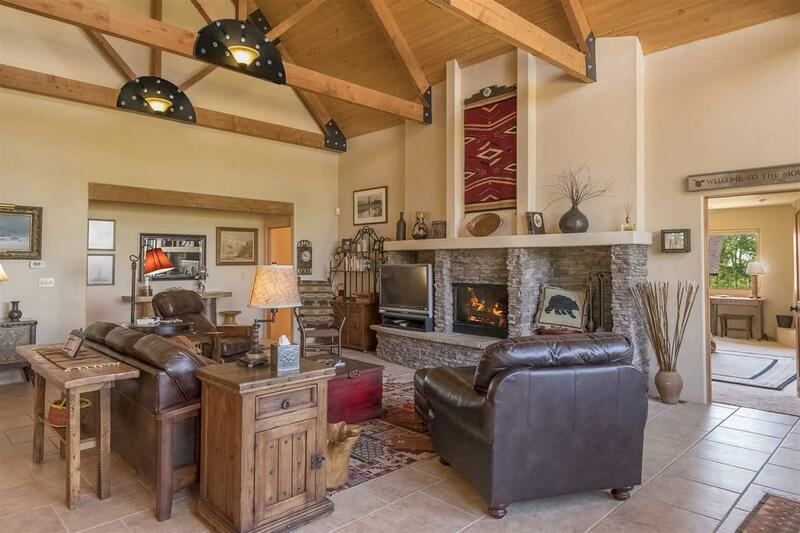 The focal point of the family room is the cultured stone fireplace. The master suite, with a Kiva gas fireplace includes a Jacuzzi corner tub, granite counter tops and a tiled shower. Each of the guest bedrooms on this level also have private baths. On the lower level you will find a regulation pool table, couch, and 2 sets of trundle beds which will sleep an additional four. This level also has an additional bathroom and access to the two-car garage. Living Room Comments Fire Place And Views!